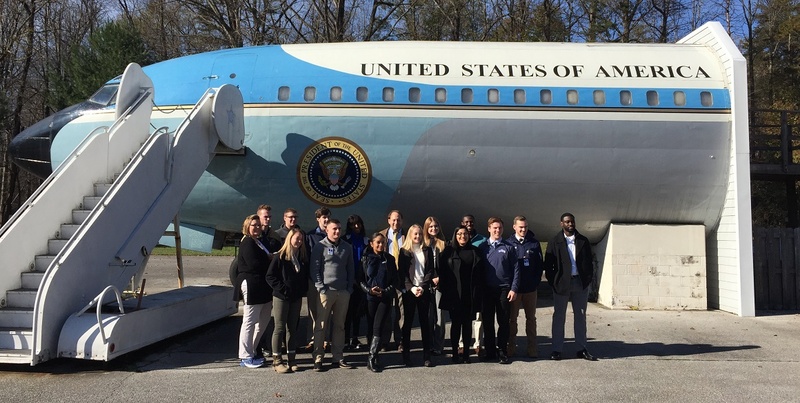 Students from the Sociology, Criminal Justice and Human Services Department at The Mount recently traveled to the Secret Service Training Academy in Beltsville, Maryland, for an orientation and tour of campus. 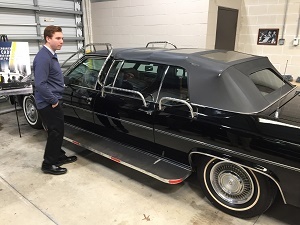 They participated in various training activities that agents practice and learned about the elite nature of the Secret Service, an agency dating back to the Civil War era that protects the president, vice president and their families, but also is involved in protecting the nation's financial system. Students began in the classroom with a history lesson about the agency, then proceeded to experience a 3-D, real-time virtual training classroom; a high speed driver training complex (where students could be a passenger for a “test drive” of a police-model Charger); a garage tour of famous presidential vehicles used by the Secret Service; and a demonstration in the academy’s museum of firearms. The students were accompanied by Department Chair Jack Trammell, and the trip was organized by Criminal Justice Professor Joe Vince. Many such activities are sponsored by the department to help Mount students explore future career options.